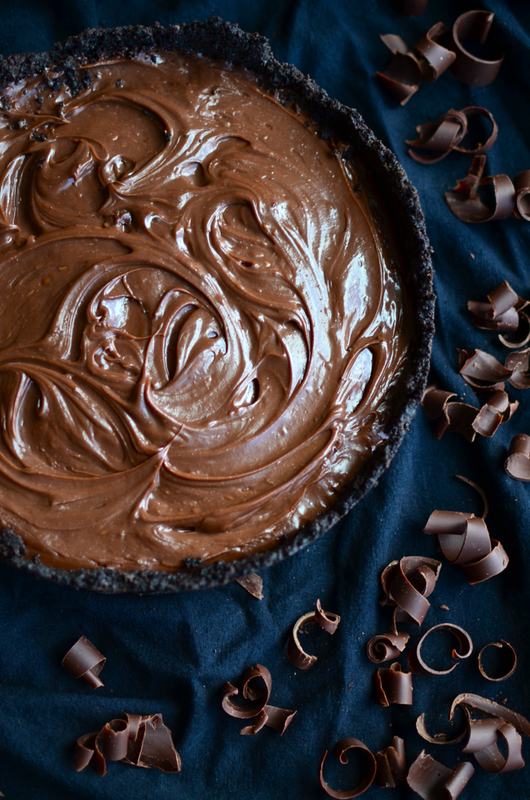 I have probably made this chocolate pie approximately five trillion times since I first made up the recipe. 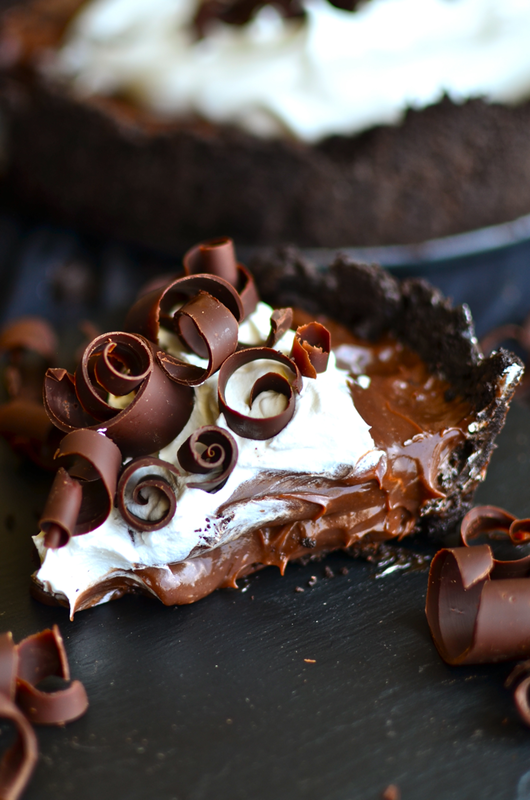 And if you say you aren't a big fan of chocolate pie, as I once said in my ignorance, that may only be because you are used to Jello pudding mix chocolate pies. 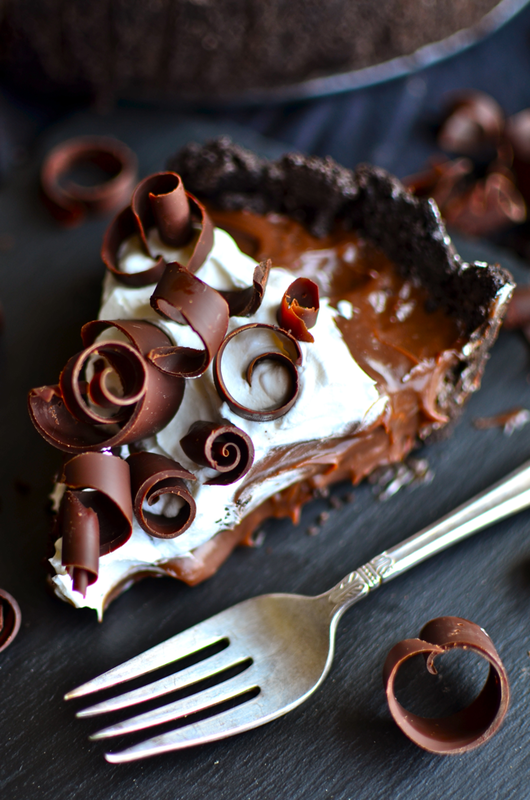 This chocolate pie is not even in the same category. 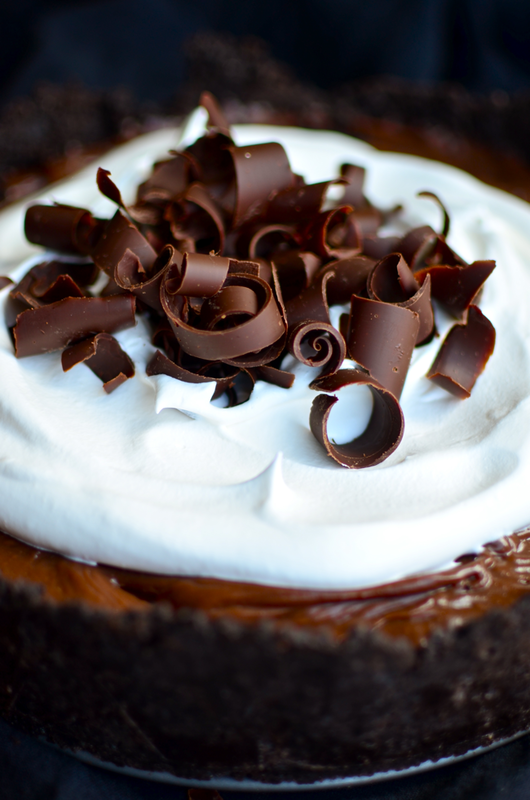 Like a pudding mix pie, it is whipped up in minutes in the microwave. 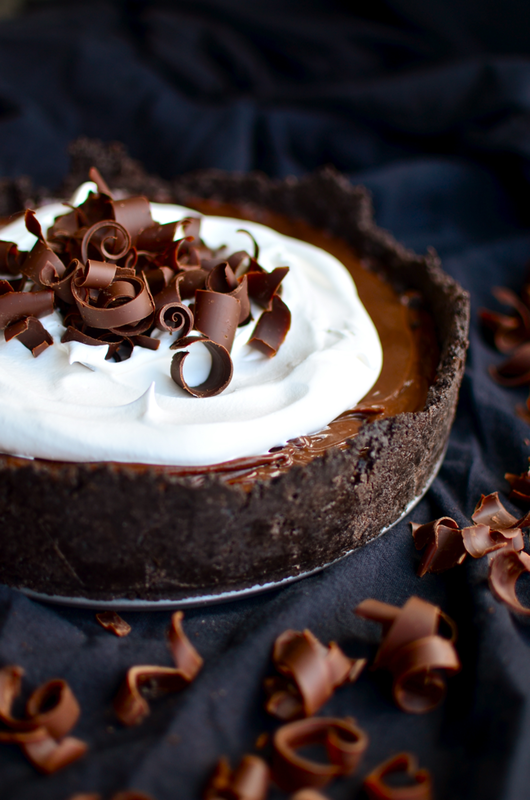 Unlike a pudding mix pie, it actually tastes like it's made of real chocolate. Plus is rich and creamy and has an Oreo crust which is covered in melted chocolate (I'm a fan of chocolate covered crusts in case you haven't noticed). Plus, it can even be made gluten free! And by the way, do you like my chocolate curls? I'll have to give you a tutorial on how to make them sometime. They're actually really easy to do and look pretty impressive, if I do say so myself. Crush the Oreos and add the butter. Press firmly into a pie plate or a springform pan (I think mine is about 9 inches). Melt the chocolate chips and carefully spread over the bottom of the crust. Chill in the refrigerator while preparing the filling. Combine the eggs, corn starch, and sugar in a large microwave safe bowl and whisk until smooth. Add the milk and whisk until well combined. Microwave for five minutes, whisking every minute, until thickened. You can also do this on the stove, stirring constantly until thickened. Add the butter and vanilla and whisk until smooth. Add the chocolate chips and whisk until completely melted and smooth. Pour into prepared crust and press a piece of plastic wrap over the exposed pudding to prevent a film from forming on the top. Chill for about five hours or until set (I photographed it after about two hours, so as you can see, you can eat it at that point, but it does thicken up a little more if you give it more time). 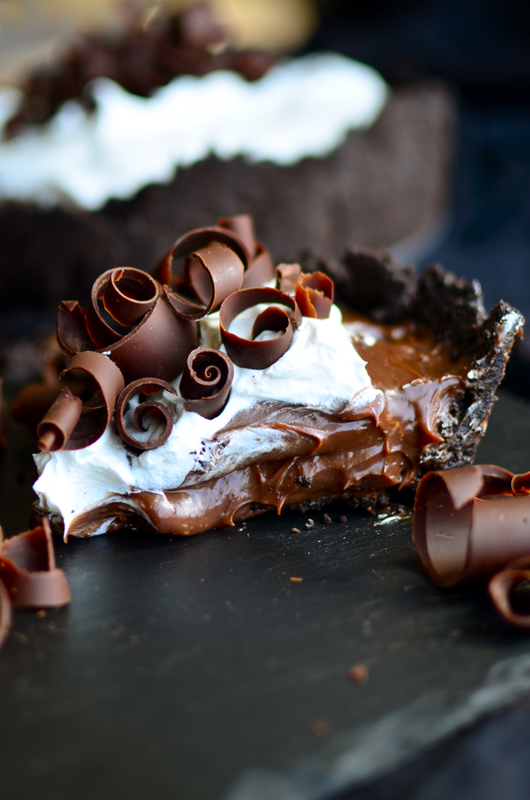 Serve with whipped cream and chocolate curls (Tutorial coming another time). You can also just chop up some chocolate for the top or use mini chocolate chips.